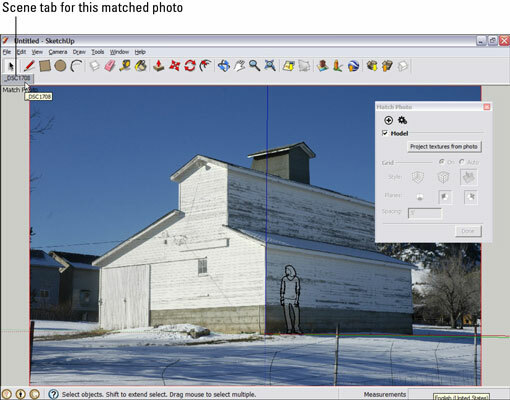 Photo-matching in Google SketchUp allows you to build a model based on a photograph or match your model view to a photograph. If you have a good photograph (or multiple photographs) of the thing you want to model, SketchUp’s photo-matching feature can help you set up things up so that building your model is much easier. Or perhaps you have a model of a building and a photograph of the spot where the building will be constructed. You can use photo-matching to position your “camera” in SketchUp to be exactly where the real-life camera was when the photograph was taken. 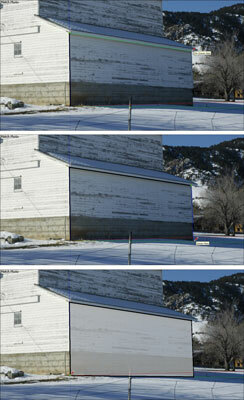 Then, you can create a composite image that shows what your building will look like in context. Click the matched photo scene tab to make sure that you’re lined up properly. 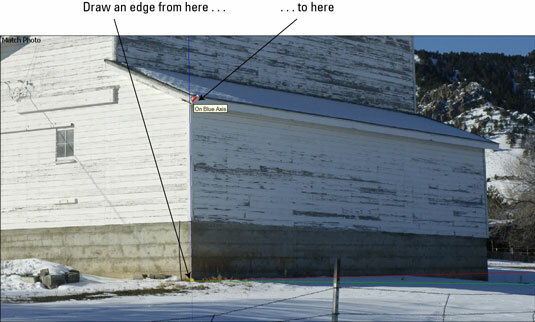 Trace one of the edges in your photograph with the Line tool. Make sure that you’re drawing in one of the three main directions: red, green, or blue. It’s a good idea to start drawing at the axis origin; it’ll help to keep you from getting confused. Keep tracing with the Line tool until you have a rectangular face, watching the color of your edges as you draw. Be careful not to orbit while you draw — if you do, repeat Step 1 and keep going. You can zoom and pan all you want, though. Use SketchUp’s modeling tools to continue to “trace” the photograph in three dimensions. Always start an edge at the end of an edge you’ve already drawn. Orbit frequently to see what’s going on. Use other tools (such as Push/Pull and Offset) when appropriate. Pay attention to the colors. Show or hide your photograph. You can edit any texture in your model, including ones produced by photo-matching, by opening them in image-editing software (such as Photoshop) directly from SketchUp. This is handy for taking out stuff you might not want in your photos, such as trees, cars, and ex-husbands.